Leaning Tower of Pisa, shot zooming out. hd00:13PORTO, PORTUGAL - JUL 2, 2014: Camera Municapal (Town Hall or City Hall), Pon the top of Avenida dos Aliados, Porto, Portugal. A palatial building with a tall bell tower (70m high).Granite and marble. 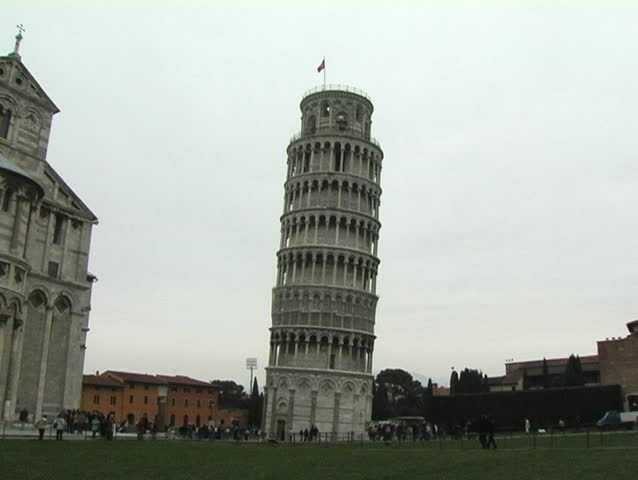 hd00:10Time lapse Top of Pisa Leaning Tower in cloudy day, Pisa, Italy. The Piazza dei Miracoli, Square of Miracles. 4k00:15Izmir clock tower time lapse video.